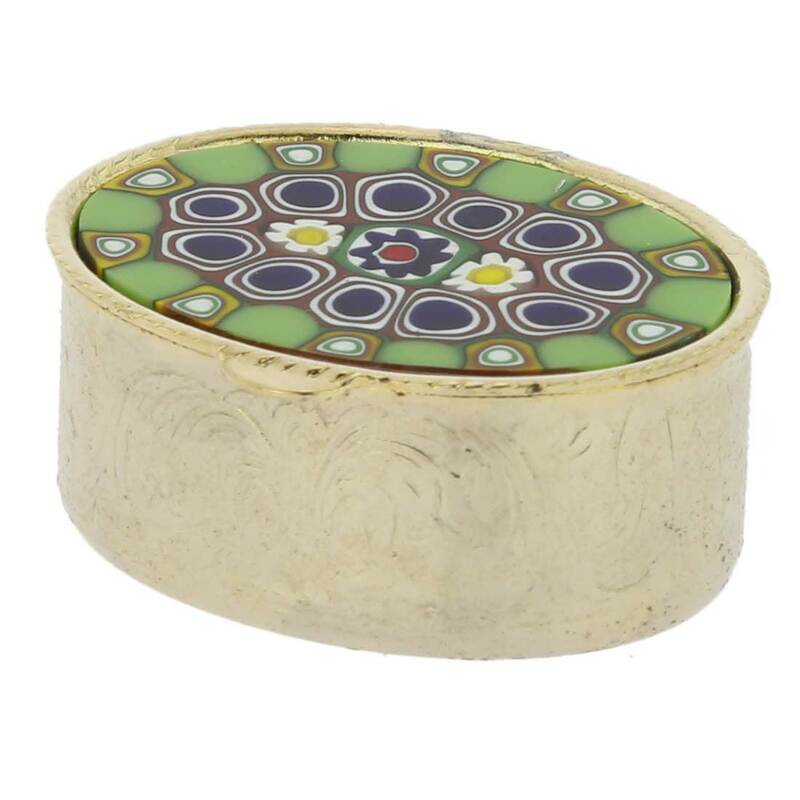 Murano Pill Boxes | Murano millefiori small silver pill box - oval. Made in Murano, Italy. 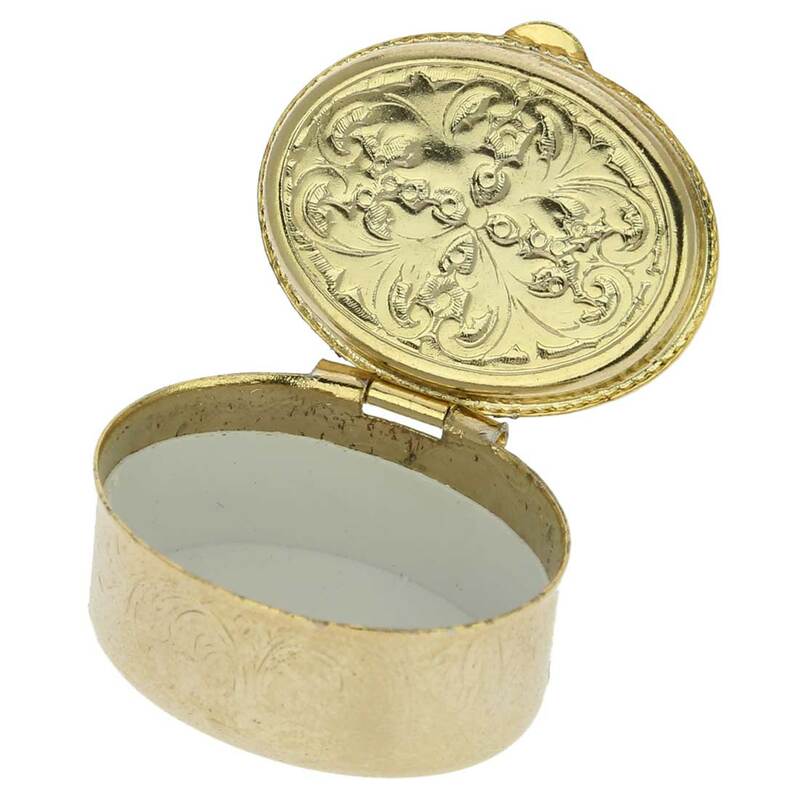 Lovely, wonderful small gift at a good price. What a beautiful, handcrafted object (and very practical for my wife who requires medication several times a day). We were recently in Venice & were enchanted by the Murano glass objects. Excellent purchase! 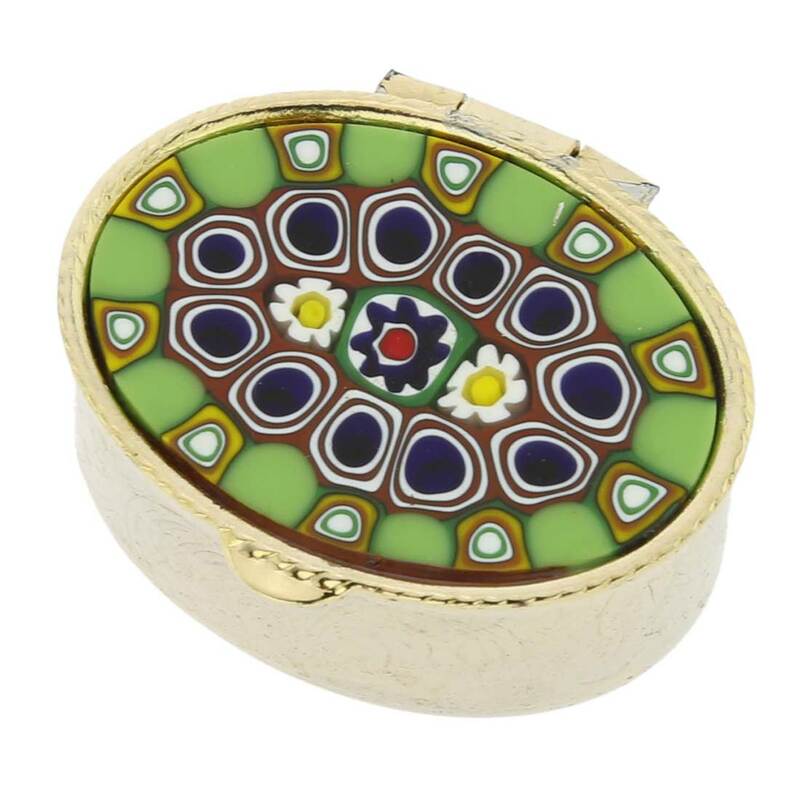 Currently viewing: Murano Pill Boxes | Murano millefiori small silver pill box - oval. Made in Murano, Italy.